This topic contains 2 replies, has 2 voices, and was last updated by accounts3 9 months, 2 weeks ago. 1. Change the Field Map from  to “Formidable: Dynamic” and to the text box enter: [766 show=”user_login”] or any combination of other Formidable Form UserID shortcodes. 2. Add a hidden field to the Formidable Form and enter [766 show=”user_login”] or any combination of other Formidable Form UserID shortcodes as the field’s default value. Then change the Field Map Layout to the hidden field. 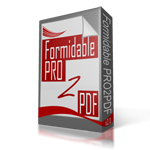 For option 1, the dynamic box is just mirroring the formula onto the PDF rather than giving results of the formula when trying [766 show=”user_login”] or other variations of this.